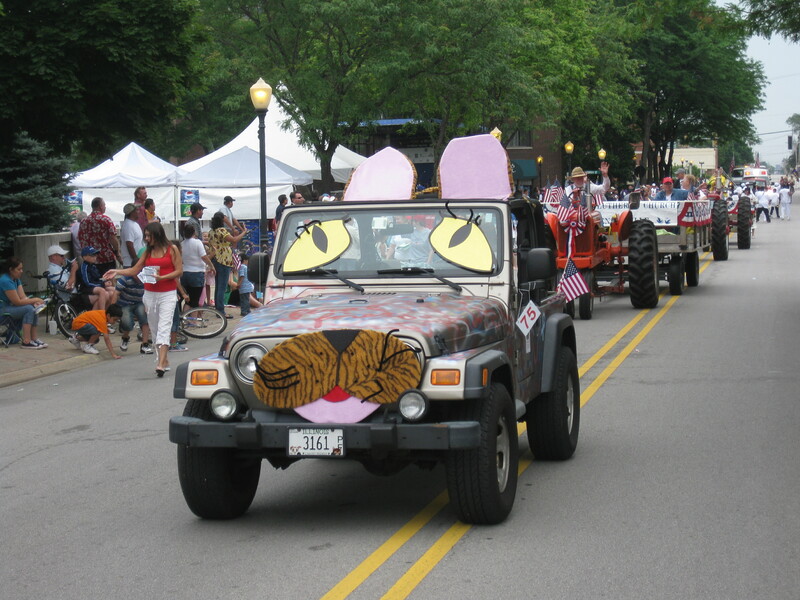 Thanks to 'super-volunteer' Mary, Feral Fixers was well represented in this year's Bensenville Fourth of July Parade. 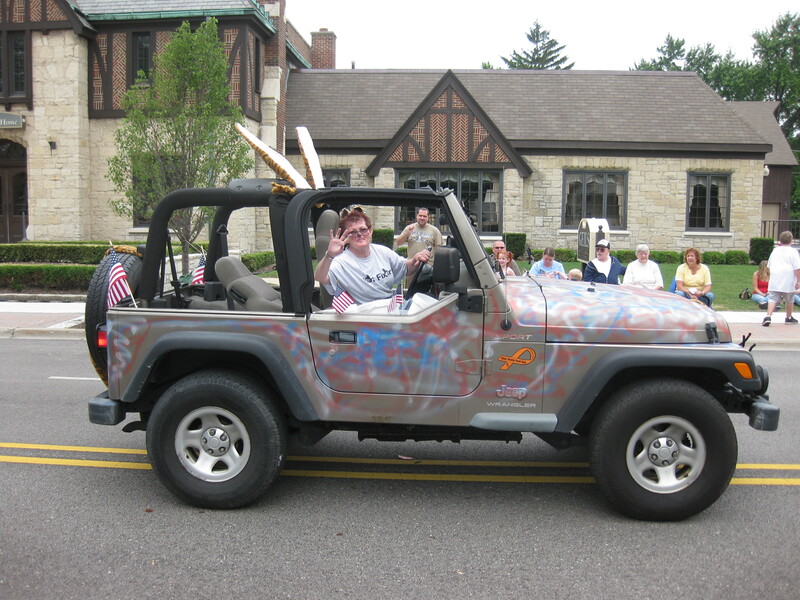 Mary decked out her jeep in cat regalia and received loud cheers from the crowd as she drove by. Feral Fixers president Tammy McAuley also participated, handing out candy and Feral Fixer flyers to all the children as she walked the parade route. The first picture shows how Mary decorated her jeep while the second one shows Mary (also in full cat gear) waving to the crowd. Thanks Mary and thanks Tammy! 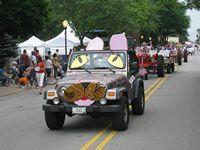 Feral Fixers was also represented in the Villa Park Fourth of July parade and I hope to have pictures of that to show you too. All of these pictures will be in our photo gallery. Thanks to everyone who helped and thank you to the crowd for cheering us on!